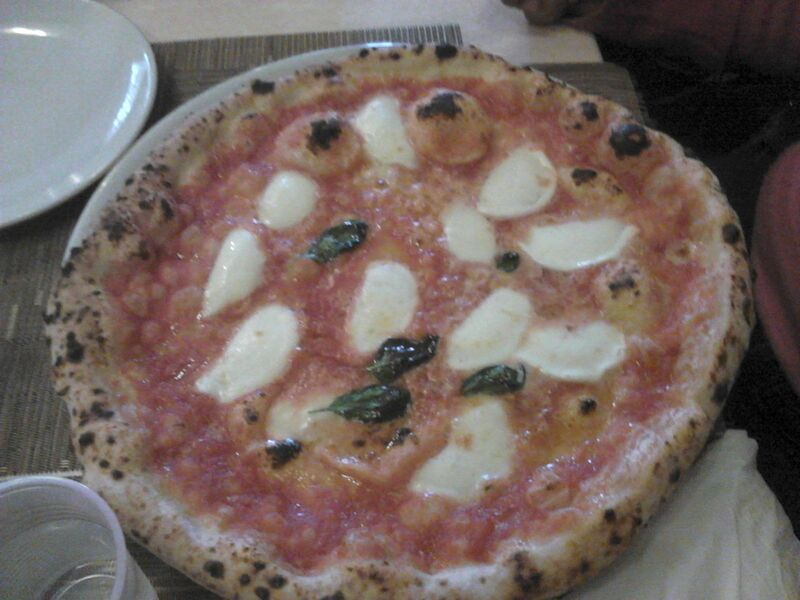 The city of “authentic” pizza margherita, Napoli (or Naples), has a remarkable identity of its own. 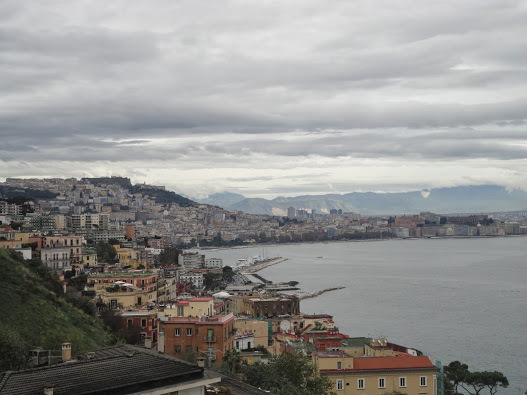 Great food (read PIZZA :)), spectacular views of the Gulf of Naples and the majestic Mount Vesuvius, a beautiful historic center, and the delightful nativity scenes and figurines in a vibrant street made our visit very memorable. Having heard rave reviews about Neapolitan pizza, we did not think much about lunch and dinner choices – it was vera pizza napoletana all the way, with _bufala DOC_ – and we did not regret it at all :). 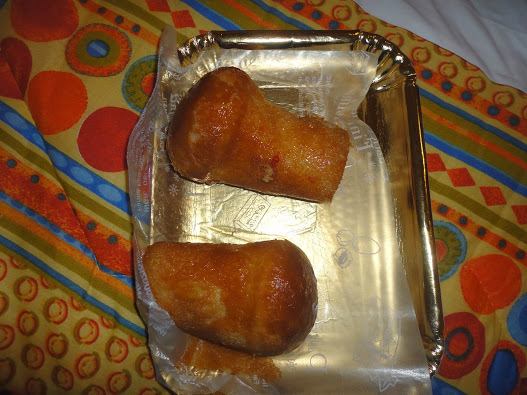 Snack time was spent munching on the delicious _baba_ and sfogliatelle, until we could eat no more. After all that food, a hike up Mount Vesuvius was definitely necessary. Well, on second thoughts, an afternoon siesta seemed to be a better idea :). 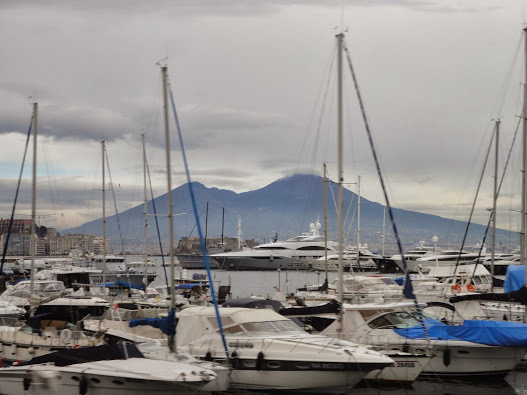 And then, we could gaze at Vesuvio from Napoli. There seemed to be no dearth of view points. Imposing. Ominous. Looming over the Gulf. Protective. Reassuring. 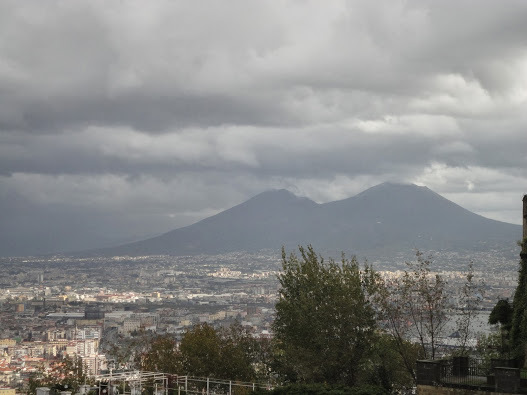 Mount Vesuvius evoked a range of emotions. On one hand, there was fear – of the dangers. 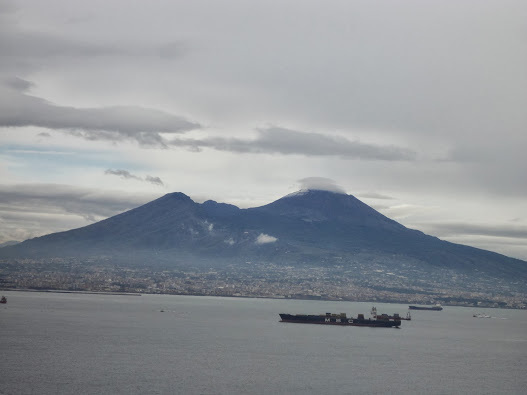 Vesuvio had caused much destruction in the past. And it appeared to be ominous at times. On the other hand, there was faith – in its protective shadow. Mixed feelings of the “unknown”. One day, the sky was dark and grey, the next day it was clear and blue. Each time I looked at the volcano, I was awed and enamored. Some day, we will hike up the mountain. 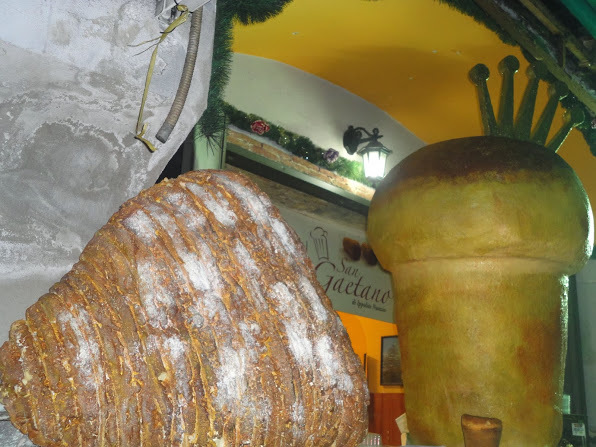 On our next trip to the capital of Campania. In the evening, we walked through the historic city center. One of the narrow streets was buzzing with activity. It was choc-a-bloc with stalls of nativity scenes figurines and workshops. 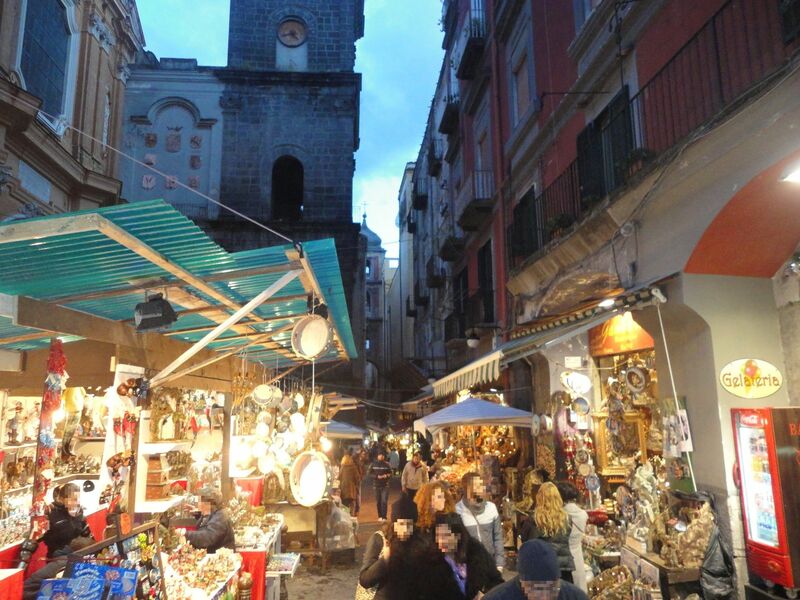 Colorful figurines and settings depicting various real-life scenes – from pizza-making to hanging out the laundry – occupied every inch of the stalls in Via San Gregorio Armeno. The attention to detail was extraordinary, and we spent a delightful couple of hours here. 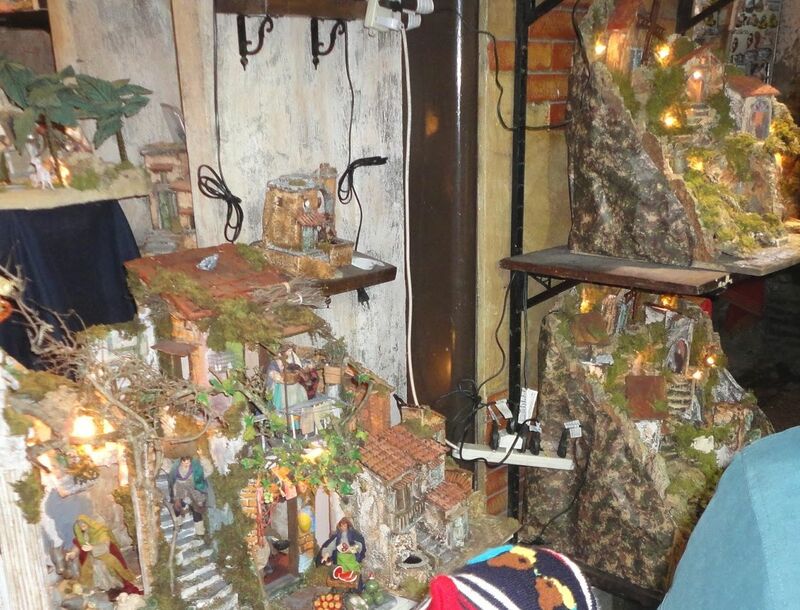 Junior had a wonderful time, keenly observing every nativity scene. Nativity scenes market. Via San Gregorio Armeno, Naples (Napoli), Italy. 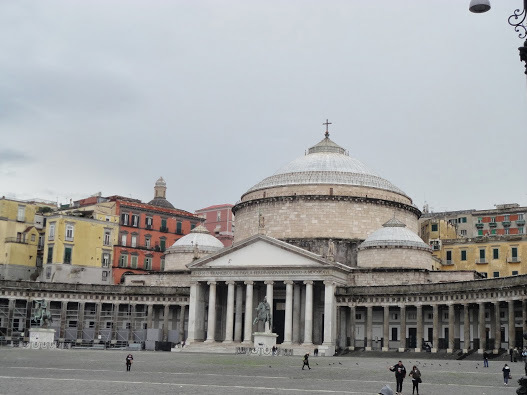 After all the warnings from friends and well-wishers about the notorious pick-pocketing incidents in Napoli, we tried to be as cautious as possible. However, that did not deter us from making the most of our visit to the beautiful Southern city. And we loved every moment of our weekend there. 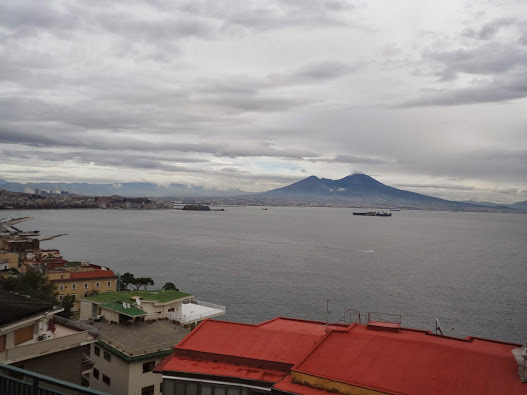 The scooters swerving in the street and the distant boats in the Gulf, the crowded city center and the tranquil Posillipo neighborhood, the irresistible food and the magnificent views of Vesuvius… our journey had just begun.